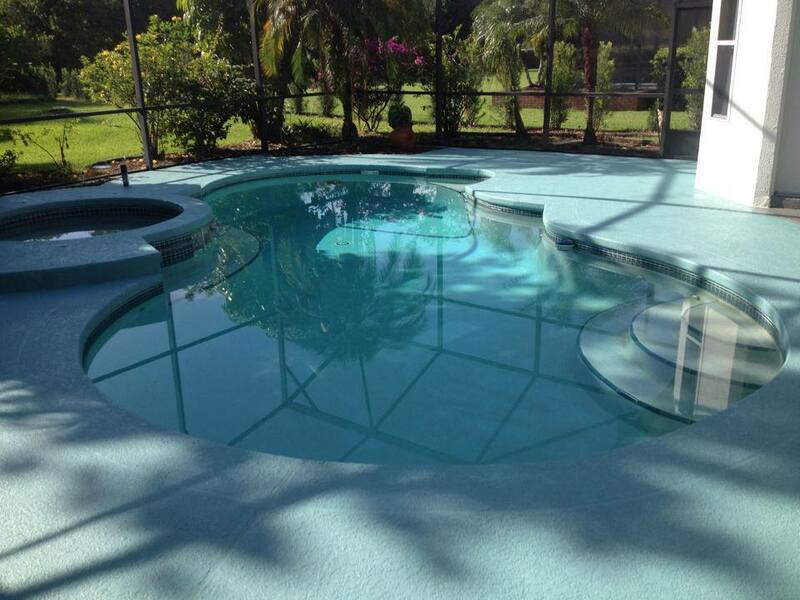 There is two basic coatings used on decks acrylic is probably the most common, but also alkyd coatings are used, It is extremely important that you know which product was used when pool deck was originally painted. Testing the decks surface prior to painting to see the type of paint originally used is extremely important. Test of the deck’s surface is very simple to do, but very important. Do not over look this step! 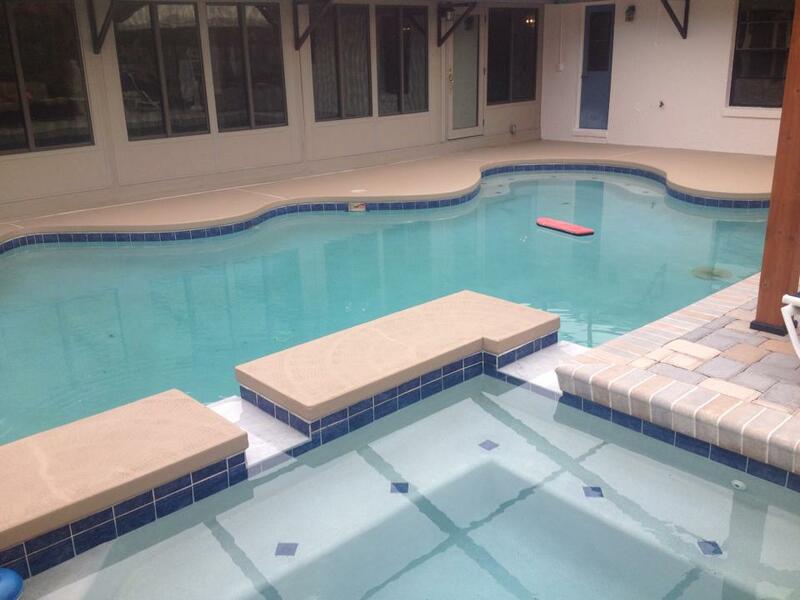 All pool deck painting is not the same. Take a look at our Before & After images below.